Fire stopping is best defined as the sealing of any openings to prevent fire (including smoke and heat) from passing through multiple building compartments. 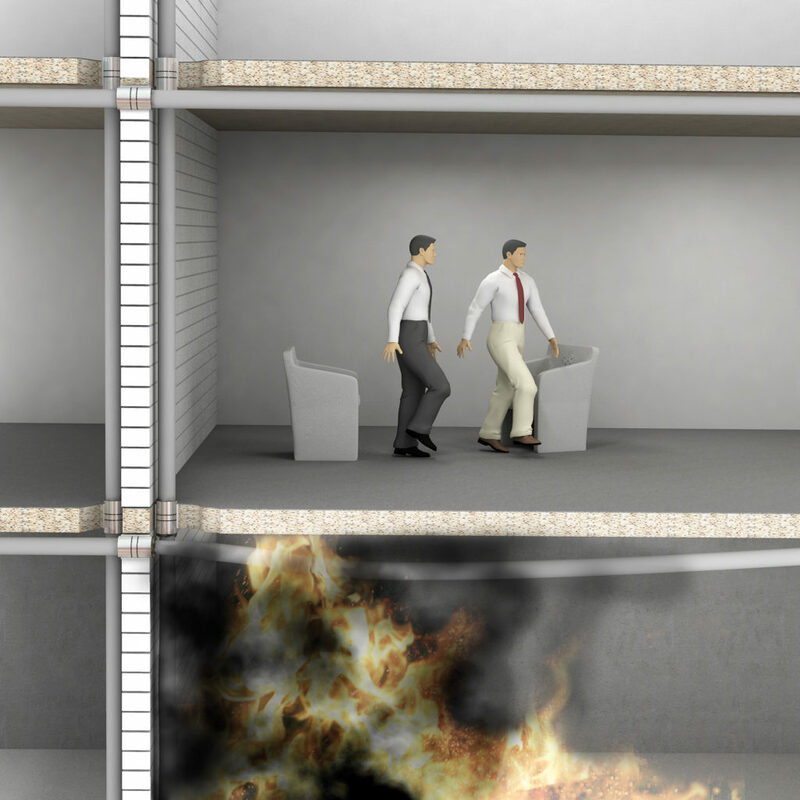 The spread of a fire is contained by creating fire resisting compartments, which subdivide the building (vertically or horizontally). Buildings must ensure that any openings and gaps are fire stopped to restrict both lateral and vertical fire spread. A firestop is a fire protection system made of various components used to seal openings and joints in fire-resistance rated wall or floor assemblies. For penetrating cables, these can also be called as Multi Cable Transits (MCTs). Firestops are designed to restore the continuous fire-resistance of wall or floor assemblies, impeding the spread of fire by filling the openings in them with fire-resistant materials. Fire collars are designed to maintain fire resistance levels. They do this by surrounding pipes and other penetrations with intumescent compounds that expand throughout the fire. This prevents flames and hot gases passing into other compartments. Fire sealants and gap fillers expand when heated at high temperatures, to prevent the spread of fire and smoke. There are different kinds of sealants for different substrates and applications. Ultimately the selection and correct installation of a fire stop can potentially save people’s lives. It is therefore a decision that should involve qualified parties to ensure effective fire stopping solutions are specified. All buildings are different, and it is important to consider not just the product you require, but also the environment and situation into which it is being installed. Each construction situation can be different, so simply using the same firestop you have used on a previous build may not be the answer. With the huge range of fire protection products that are now required by building regulations, it can be difficult to understand which ones you need. The simple answer is, all of them. A functional firestop system is only made when a combination of products are all working together. Without the use of one single product, the rest of the fireproofing system could fail. The Walraven team have over 30 years’ experience in fire stopping. They have worked on huge fire stopping projects such as The Shard and are experts in both new build projects and remediation. They are willing to discuss your fire stopping projects and assist you with problem-solving, technical design and more. How can Walraven help with fire stopping? Our products are tested and approved by various independent authorities throughout Europe according to EN 1366-3 and BS 476-20 amongst others. Many of our products also have ETA certification. However, we are not just satisfied with achieving standard testing requirements. We are proud to carry out additional and bespoke testing on our firestops, to provide proof of our product suitability in multiple situations that go beyond standardised testing requirements. The Walraven fire stopping products can be used to retrofit in buildings where inadequate fireproofing solutions have been installed. This is an added benefit of our products being incredibly easy to install. Our fire systems brochure shows the simple installation provided by Walraven’s Pacifyre® firestops; even when retro fitting. We recognise that sourcing and specifying fire stop solutions can be complex. Our team of Technical Support Advisers provide a FREE project support service to our customers including consultation and problem solving to find the most effective solutions for your construction challenges. Standing at almost 310 metres, The Shard is one of Europe’s tallest buildings. It is home to restaurants, hospitality, offices and even retail shops. On such a large and complex building project, it was no surprise that installing a fire stop solution was not straightforward. The sub-contractor on the Shard had used the Walraven Pacifiyre® MKII Fire Sleeve on a previous project, so knew it would be suitable where there was pipe movement. The Walraven technical team spoke to the Local Authority’s District Surveyor and the consultants of The Shard. Walraven then demonstrated our firestopping solution, showing the simple installation and accommodation for pipe movement. Subsequently, the consultants decided that the Walraven Pacifyre® MKII Fire Sleeve was the best product for the risers in The Shard. 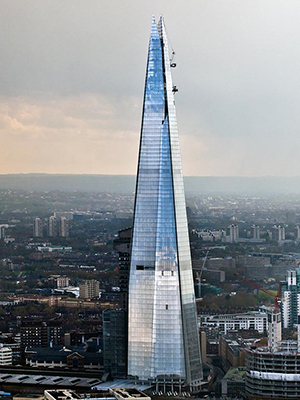 For more information on how our fire stopping solution was used on The Shard, view the full case study here. 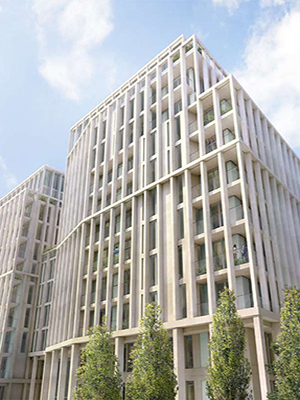 In the heart of Westminster lies Abell and Cleland, a prestigious residential development. The high rise building required products that could accommodate expanding and contracting pipes. The pipework in the building required special supports that allowed for expansion and contraction. But also, fire seals were required where the fire rated walls had been penetrated by the pipes. There were a number of different substrates and pipework arrangements that all required fire stopping solutions. The fixing points and slide guides provided by ourselves were able to accommodate the large pipework and allow for movement. The fire stopping product used was the Pacifyre® MKII Fire Sleeve, as it successfully allows the pipes to expand and contract whilst maintaining the fire seal. Technical advice, design solutions and on site support were all provided throughout the project. For more information on how our fire stopping solution was used on Abell and Cleland, view the full case study here. Read our ‘how to’ guide on how to comply with passive fire protection regulations. 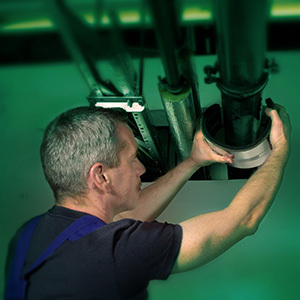 To see a full overview of Walraven’s fire protection system download our brochure. Download a copy of our 15 considerations you should make when looking for a firestop. 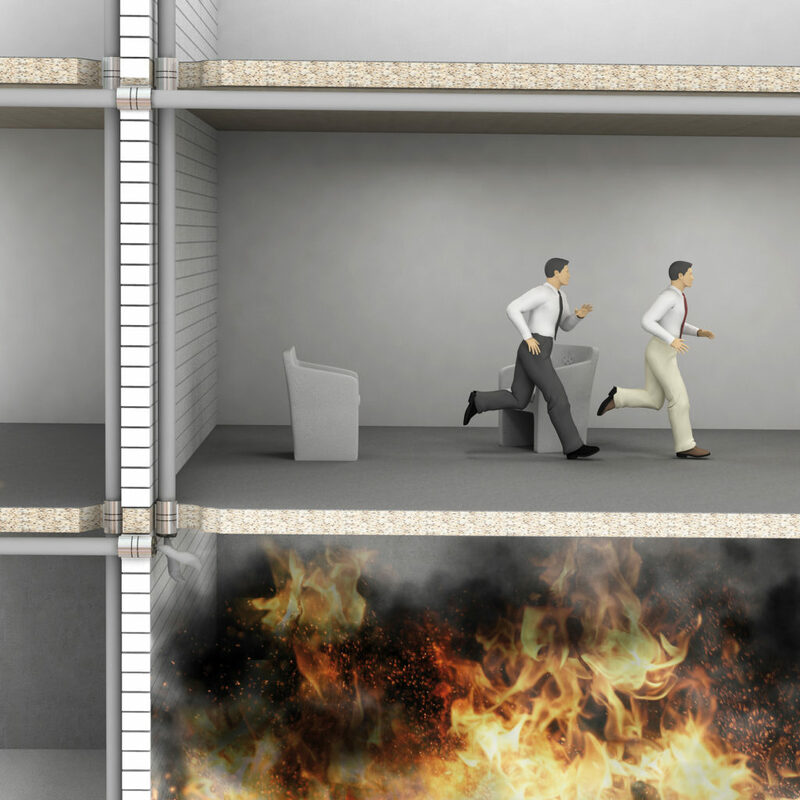 The Association for Specialist Fire Protection shows a visual representation of the importance that compartmentation has in preventing the spread of fire. They also show the importance of having correctly tested products in compliance with the correct application. Watch the video. The Intumescent Fire Seals Association (IFSA) provides technical advice and guidance on all matters relating to fire seals and penetration sealing problems. Read their guide to using intumescent penetration seals. Download the ASFP Red Book on fire stopping and penetration seals. The publication analyses passive fire protection and sealing in compliance with building regulations. Download the book. 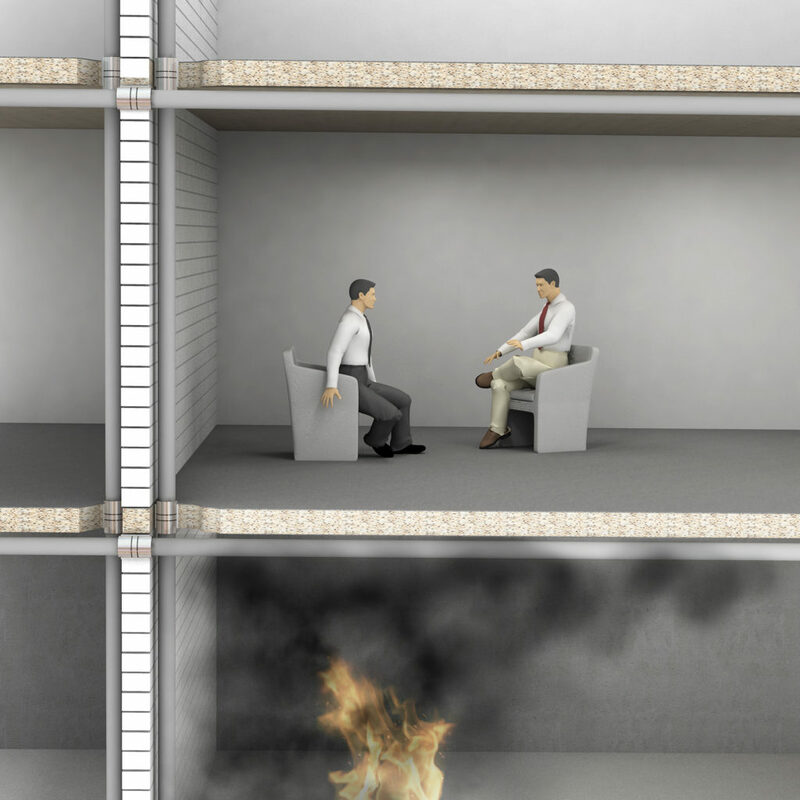 The basics of passive fire protection article by buildings.com will help you understand the importance of fire protection. Read the article.